Ben and Raouf have different but complementary backgrounds. 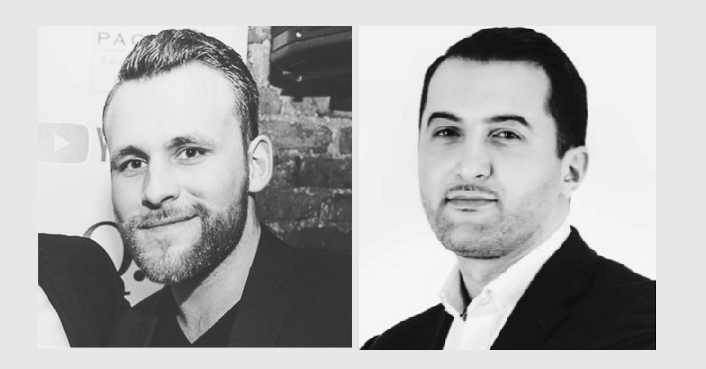 Raouf started his career as an underwriter for Central Trust, a second charge lender, whilst Ben's first employment was for a building contractor in St Albans, playing a much more hands on role. How and when did you first get interested in property? Raouf: In 2007 a very good friend of mine was purchasing a lot of commercial units and he introduced me to some great lenders and with very low interest rates. It was pre the 2008 crash and it was very easy then to acquire multiple units with over 10% yields. We then worked together to acquire and resell probate and repossessed properties, which proved to be very lucrative, this was while I was still in full time work. Ben: I first got interested in property through my job in St Albans. I worked on many development sites and that's when I realised property development was what I wanted to do. Which has been your favourite project so far, and why? Raouf: I would say our Thetford mixed-use development of 8 residential units and retail. It was challenging in regards to planning, but, once completed, the units sold relatively quickly. I found it satisfying passing the finishing line with all the issues we encountered around party wall agreements & right of way challenges. Ben: For me it would be the conversion of an old Mock Tudor office building into apartments. The project faced many issues mainly due to the age of the building and for me, the most rewarding part was overcoming those challenges and seeing the transformation at the end. What excites you most about property development? Raouf: I really enjoy the acquisition phase of a project. I genuinely believe that we need to find ways to add value at the front end. Getting a good deal through negotiations with agents and vendors is a start and then we look for ways to enhance the value through the design and build process. Ben: Personally I like unlocking opportunities that others may have missed. Looking for different angles to really add value. Without sounding too pompous, I take seriously the opportunity to add value to local communities. We are creating jobs and business opportunities for both contractors and consultants and that's important. Raouf: Like other developers we are concerned about the current market uncertainty and lack of stability. Accepting that we can't change the political and economic situations so we focus on minimising cost overruns and delays by working extremely hard to structure contracts that protect us but that are also still profitable for our contractors. Getting the cheapest deal from a contractor is the quickest route to chaos. It's important we understand how the contractor makes their margin and how this can be affected during delays or overruns. Ben: I am worried about the market in general, particularly in the short term, although it's something we can't control so I tend to focus on things we can control such as build costs, and purchasing the right type of opportunities. What is different about how you do things compared to other people? Raouf: Reverting back to relationships, as an example, our contractor has worked with us on the past 4 projects. He has a very strong balance sheet and even during periods of delayed draw-downs from lenders he is able to carry on for 4-5 months. We will never be in a position where our contractors walk off site. Ben: Raouf's right about this. We are very much relationship driven. We value long term relationships and we also focus heavily on what we are building from a design and build point of view. For us, it is important to create homes that people are proud to live in for many years to come. As you're both young, how can you reassure people that you have enough experience? Ben: This is actually a typical development for us, and the examples we've mentioned already shows that we have the right experience for listed, mixed use development. In addition we have a strong team around us from Architects to Contractors, Lenders & other members of the project teams have many years combined experience in these types of developments. So how did you come across the Braintree Project? Raouf: About 18 months ago we made a decision to no longer compete with other developers for deals on the open market. So we set about meeting the main agents and growing deep and honest relationships in order to acquire sites off-market. Braintree was a fine example of this. An agent with whom we had built a great relationship presented us with this project subject to planning. We were the only party in the running and a direct introduction was made to the vendor. Ben: Braintree was a great deal for multiple reasons. It's in an historic town, on a vibrant High Street just 800m from the local Train Station. It has excellent transport links as there's a direct line into Liverpool Street and only 10 minutes drive to Stanstead airport. Furthermore we managed to get a great price reduction on the deal from £500,000 to £475,000. We also liked the lower price point of the apartments which cater for first time buyers with the help of Help to buy. Raouf: There is also great development opportunity within the project itself. There's some potential planning wins we are currently exploring to convert some of the 1 beds into 2 bed flats. The retail units were already pre-let with Heads of Terms agreed which potentially produces a source of income early during the build. Were there things about this project that concerned you? Raouf: The fact that the building was listed was a concern at first. There is the cost of specific materials that the council proposed, but also in the way the site needs to be managed with rubbish removal etc. After speaking to listed building experts along with the local council we discovered multiple options and material choices to fit our build cost and criteria. Because the site is on the High Street access can be limited and will require an extremely tidy site at all times. This was discussed in detail with our contractor and we've agreed a strategy for keeping on top of it all. Can you describe your approach to this project? Who are the units targeted at? Raouf: The units are targeted towards first time buyers & down-sizers. 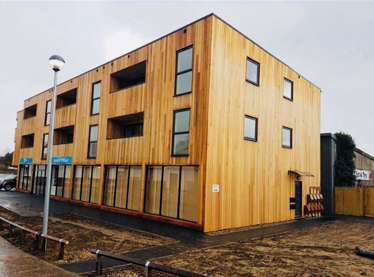 Being based on the High Street gives great access for a young families or couples starting off their property journey and the entry price of £170,000, matched with the Right to buy scheme, will make these units very attractive & affordable. What is your preferred exit route? Raouf: Selling all the units off-plan would be our preferred exit and we have already had multiple conversation with agents on our marketing strategy. And what is your fall back? Ben: Refinancing part of the site onto a term loan would be an option. We like to have flexibility in our exits and we are not set on keeping or selling. We will do what the market dictates for example if the apartments are not selling we would refinance some of them. 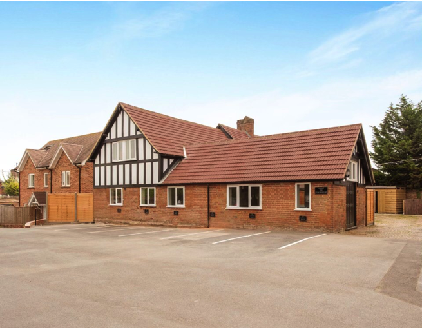 As well as this we also have the flexibility to sell the freehold, which includes the two retail units, given these will be let and income producing it presents an opportunity for an incoming investor to buy at a 7% yield. Why crowdfunding? How have you funded your projects in the past? Raouf: Historically our projects have been funded via investor contacts of ours and our own funds along with different senior debt lenders. Ben: But crowdfunding is something I've always been interested in and I see it as a fantastic alternative investment vehicle for investors and in turn a cost effective option for developers – it can be good for both sides. What worries you most about using crowdfunding on this project? Raouf: We need to make this work. We want to build long-term relationships with investors and champion crowd funding amongst our peers and contacts. As such there is greater pressure to get everything 100% right and not to disappoint. Ben: I have no worries using crowd funding on this project. I feel it is an innovative and effective way for investors and developers to work together, given the scrutiny platforms like CrowdLords undertake. How do you see CrowdLords and crowdfunding generally fitting in your future plans? Ben: Our intention is to create opportunities to work with CrowdLords and CrowdLords' investors on many more projects in the future. Raouf: In fact, we would love to be the face of a Crowdfunding platform, share our positive experience with other developers, and to build passionate supporters within our investor pool. Investing in the Braintree High Street development, like all crowdfunding investments in property, involves risks and well as the possibility of high rewards. Investing puts your capital at risk and returns are not guaranteed. Please read the full risk warning found in the offer documentation before deciding to invest.